​to the Beautiful Game today! SoccerKIDZ is our newest initiative targeted at introducing "the beautiful game" to children in our neighborhood between the ages of 2 and 4. Our goal is to foster a love for soccer through age-appropriate, interactive games and activities that bring smiles to little faces. We hope to provide an awesome on-boarding experience to our youngest WBSA players in hopes of watching them play with their friends for many years to come in the most family-friendly club in Texas. SoccerKIDZ will participate on Saturday mornings during the excitement of our regular weekend matches to provide an introduction to our club and a chance to interact with all our great families, coaches, and volunteers. There will be no formal practices or matches, but players WILL learn foundational skills and basic game mechanics that will set them up for success as they continue playing. The program will be driven by Coach Betsey Harper - one of our most popular coaches - as well as other members of the WBSA coaching and leadership team. Coach Betsey will lead eight (8) convenient Saturday sessions lasting between 45 minutes and 1 hour depending on weekly attendance and engagement. 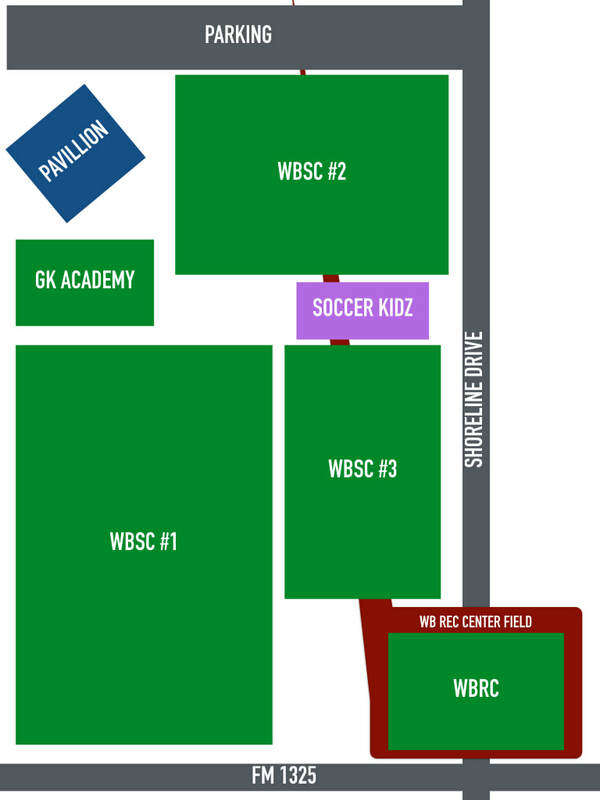 Sessions will begin at 9AM at the Wells Branch Soccer Complex (WBSC). The entire 8 week program costs just $50 and fees include an official WBSA uniform. Families will need to provide cleats, shinguards, soccer socks, athletic shorts plenty of water and a light jacket. Registration closed for Spring 2019. Please check back in Summer when registration will open for Fall 2019. If you would like to be contacted when registration will open, please select this LINK to enter contact data. Coach Betsey Harper brings decades of leadership experience and soccer knowledge focused teaching children the love of the game. Her soccer journey ranges a lifetime, from recreation ball and travel clubs, to college level ball and professional league organizations. She has a medley of experience, not only as coach and player, but with all things Wells Branch and is also our neighborhood's MUD director. Her playing and coaching experience spans four decades, and Coach Betsey has been coaching/teaching/instructing for more than a decade with our club. Coach Betsey has been one of WBSA most requested coaches year after year. She is energetic, funny, and takes learning soccer to a new level! We are excited for Coach Betsey to start a new chapter in our club's history.